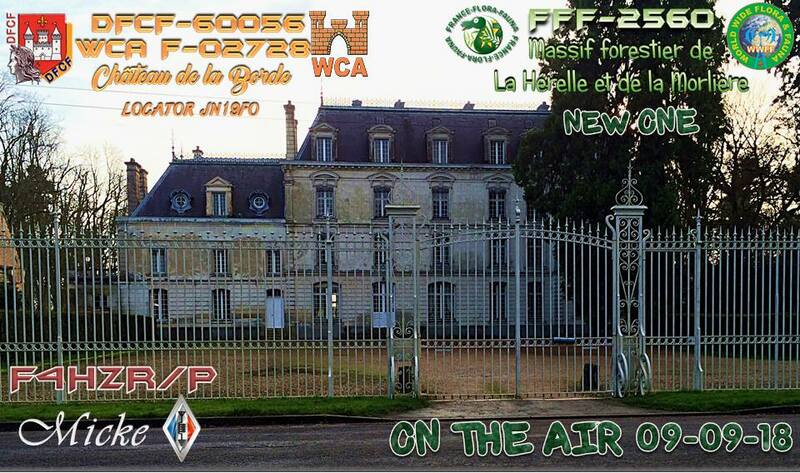 – Mike F4HZR will active as F4HZR/p on the 9th of September from Chateau de la Borde, WCA: F-02728 , DFCF: 60-056 located in Massif forestier de la Hérelle et de la Morlière, WWFF: FFF-2560 (NEW ONE), QTHLoc: JN19FO. Only e-QSL. 73 & 44 & 11! [tnx info F4HZR].